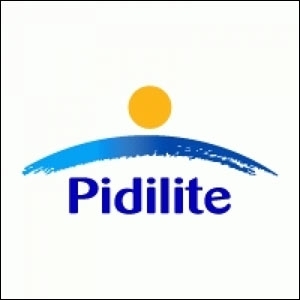 The water-proofing brand from Pidilite Industries has provided over 5,000 raincoats to the traffic cops. With a population of 2.5 crore, Mumbai is one of India's most populated metropolises. With the total number of vehicles ranging from 25-30 lakh in a city like Mumbai, traffic police personnel on the roads face the most difficult task of managing and controlling traffic. As a small token of appreciation for their persistent services and saluting the true spirit of the Mumbai traffic police, Dr Fixit, a water-proofing brand from the house of Pidilite Industries, presented 5,000 raincoats to Dattatray Padsalgikar, Commissioner of Police, Mumbai. Sanjay Bahadur, global chief executive officer, construction chemicals, Pidilite Industries, says in a press release, "We salute the spirit of the Mumbai traffic police for being the guardians of the city. Being the water-proofing expert, we would like to acknowledge their work and show gratitude through a special gift - a raincoat. We offer our appreciation to the police personnel who relentlessly work throughout the day to ensure road safety. We wish them all the best." The purpose behind giving away these raincoats is to shield police personnel from the upcoming monsoons so that they can perform their duties with ease and continue to protect the citizens. 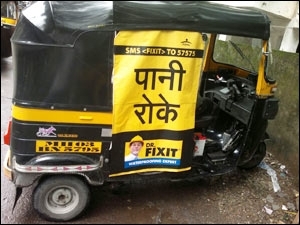 In 2014, the water-proofing brand had done an interesting outdoor campaign during the monsoons by branding auto rickshaw flaps with the message 'Paani Roke'. In order to strengthen the communication, the message was accompanied by the image of Dr Fixit beneath it. The following year, in 2015, Bollywood actor Ranbir Kapoor, too, distributed 2,000 raincoats to the Mumbai Police with his Indian Super League's football team Mumbai City FC's branding on it.